Bedford County Sheriff Mike Brown is the recipient of the National Sheriff’s Association 2017 Ferris E. Lucas Sheriff of the Year award. Sheriff Brown received the award for his contribution to the law enforcement community this past weekend in Reno, Nevada during the association’s annual conference. Given annually by the NSA, the award recognizes a sheriff who has made outstanding contributions to law enforcement and criminal justice, demonstrates exceptional service to his community, and has contributed to the betterment of the association. 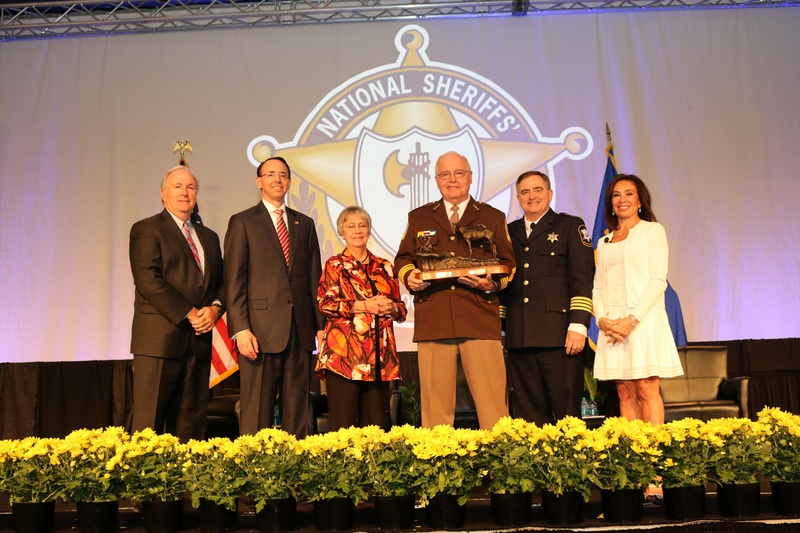 The award is given to any active sheriff who has performed the duties of his or her office in the highest professional manner, and is named in honor of Ferris E. Lucas, who served as NSA president from 1944-1946 and NSA executive director from 1964-1982.